Having an online business may not be enough if you do not have application development. You can make an online success if you know how to make apps for your users. Mobiles are now one of the trends in business, Alisons Infomatics can make things work for your business with effective and reliable apps to promote your business to customers worldwide. 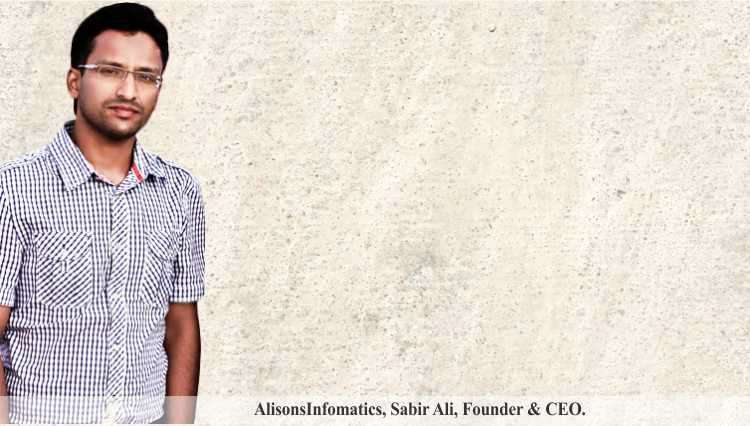 With over 6 years of experience in Information Technology services Mr. Sabir Ali, founder & CEO and Mrs. Jubairiya Sabir, Co-founder of Alisons Infomatics established the company with the believe that they can make things happen for your business as they assures that your apps work for your customers. They are expertise in Mobile App development, Website designing & development, Graphic Designing,Software development and helps in creating application for the new generation smart phone. The various applications that they develop are the Blackberry Mobile Application Development, Windows Mobile Development, iPhone Mobile Application Development and Android Mobile Application Development. Sabir was and always been passionate about carrying out this entrepreneurship. He’s always been a team builder during his studies days and was confident about that he’ll be able to do something great in his working carrier. Today, Alisons is one of the largest & most recognized names in the IT industry with sound reputation in developing, delivering and deploying applications across all major platforms. Their strong technical competency, well-defined methodology and a dedicated team of expert engineers, designers and developers have helped them to churn out some highly intuitive, entertaining and user-friendly solutions. Alisons core strength lies in innovation & creativity, ability to visualize, developing appropriate application using the latest technology, structured project management process ensures that projects are on-time & on-budget, last but not the least they adopt best quality assurance & control measures. The company follows few basic strategies that makes them recognizable by the esteemed clients are that they’re always in-touch with existing customers, play a role of an employer and invest time in knowing the clients and their needs. As a start-up company, it’s not cup of tea for anyone to survive easily in this gigantic industry.One has to cross many hurdles in the way of being a well & established firm. Sabir understood the market and then build-up a strong & efficient team of employees’ so that they can act as a backbone for Alisons Infomatics. He also mentioned that it was his passion which let him kept driving to reach at the level where he is now. Company is planning to explore new markets and building up partnership & strengthen the business by finding associates. They are committed to developing user-friendly and customized solutions & superior post development services that are essential for business organizations to achieve their goal that leads to success. TheAppsSmiths : We develop Mobile Applications that Deliver Results!